last week, oi b.m. gave us a hint as to carlos santana's musical legacy in thailand; this week, we'll meet an even more fervent devotee.. santanoy! 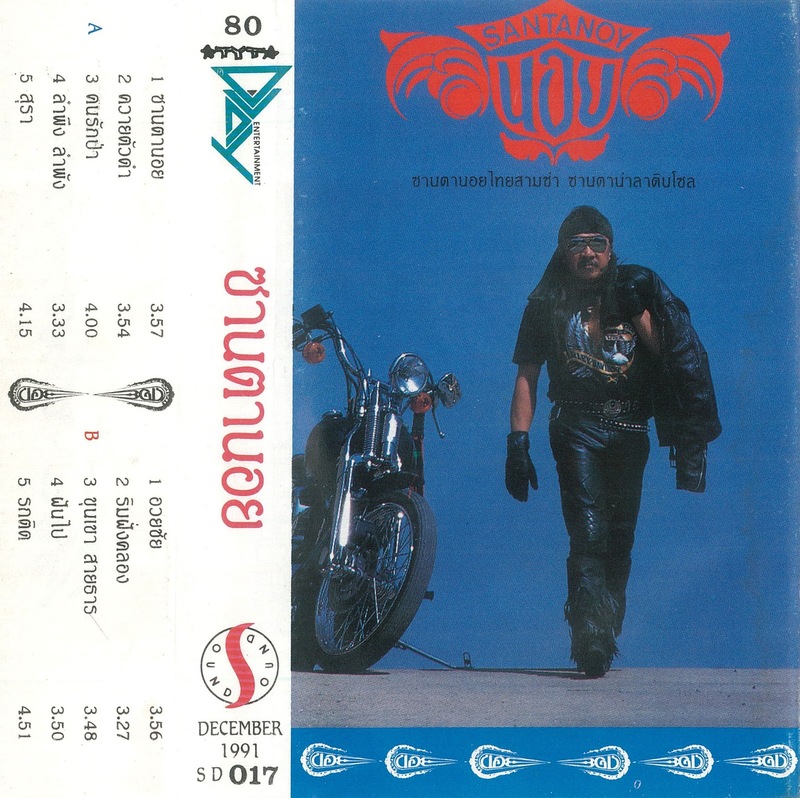 little-remembered today, noy thirawisan chunlamakon had contributed saxophone and harmonica to the december 1991 album wicha phae by famed phuea chiwit rockers carabao, and released his solo album on their d-day entertainment label the same month. the liner notes also list the entirety of carabao members as producers here, as well as for various instrumental credits. from my own anecdotal observations, santana seems to have had the greatest influence on thai music of any western rock-star. probably the long-time popularity of latin rhythms in the kingdom particularly helped to set the chicano legend up for success, over his more stolid rock contemporaries. as santanoy sings, he's "the thai cha-cha-cha to santana's latin soul".. enjoy! Thank you for including the year in this cassette. Usually, when you post albums, you only include the decades like the 1980s. I hope you include more posts with the year that they were released.